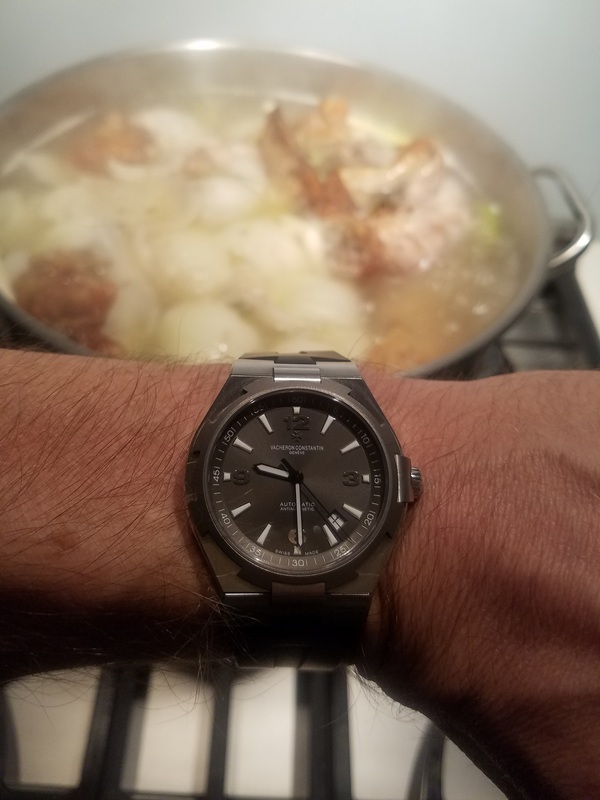 Making turkey stock today accompanied by the Deep Stream Overseas Automatic. That is approximately 6 quarts of stock on the stove in preparation for holiday cooking. What are you doing with your Vacheron Constantin? Whatever you are doing, make it a good day. Previous Topic: Where are all the new Overseas? Next Topic: Putting a blue strap or band on a white dial OS?